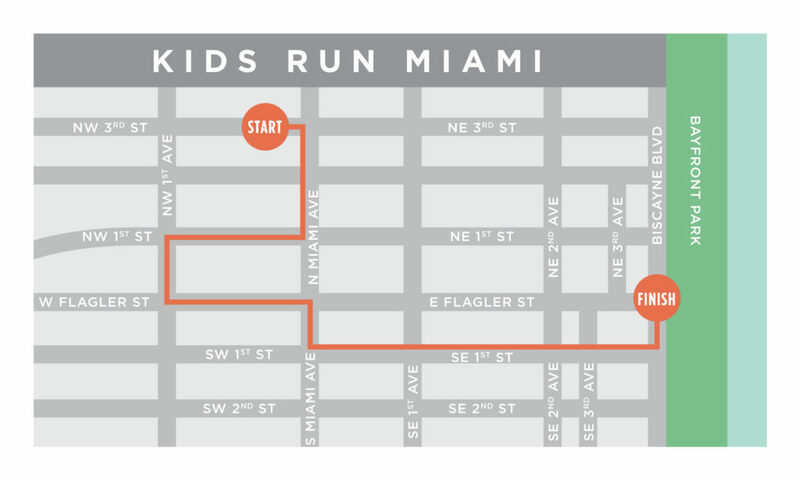 Fitbit Kids Run Miami is a privately-funded, county-wide program that invites all middle schools in Miami-Dade County to establish a consistent running program as part of their physical education daily lesson plans. The program’s goal is to offer every child enrolled in Miami-Dade County Middle Schools an opportunity to run their first marathon (26.2 miles), and in doing so, promote a fit and healthy lifestyle while teaching children to create and fulfill goals. 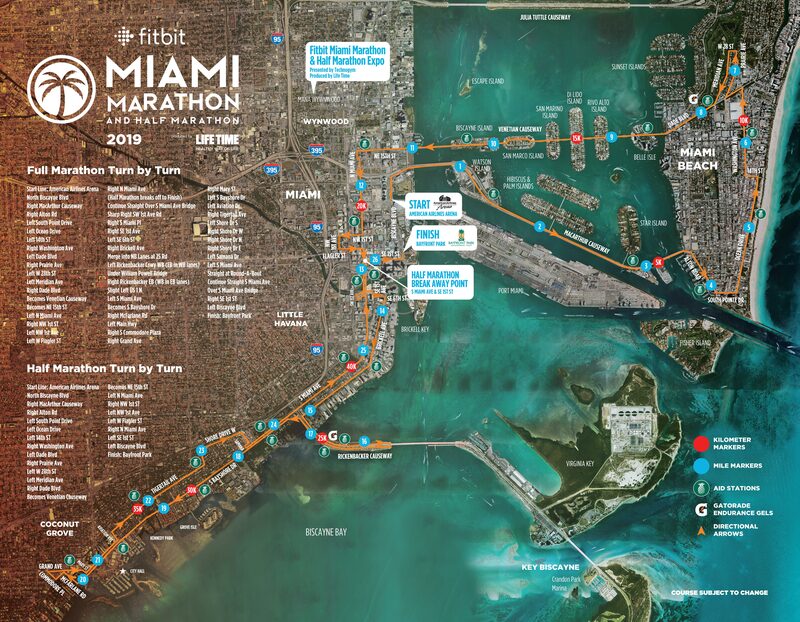 Participating schools and teachers will encourage students to run 25 miles over 15 weeks culminating at the Fitbit Miami Marathon & Half Marathon (February 9, 2020) on the final 1.2 miles of the marathon course. Students will have the opportunity to run together in a safe setting on the same course used by 20,000 marathon and half marathon runners. Students will begin the program running one mile a week and will gradually increase their running regimen to 2.5 miles per week. Students will be able to gain mileage during PE classes as a daily warm-up routine, through other class activities, or on their free time. Shuttles will be leaving the Miami Beach Convention Center at 4:00 AM to ensure timely arrival at the Start line. Post-race shuttles will operate from 8:00 AM to 1:00 PM. Shuttle loading will be located at NE 8th St. and Biscayne Blvd., next to American Airlines Arena (North Side). You may purchase your shuttle ticket during registration, as well as other hospitality experiences such as the pre-race pasta party, access into the VIP Experience and more! Gear check is located at the finish line, three blocks south of the start line. See the gear check section below for more information. You will be able to check your belongings near the finish line of the race on Biscayne Blvd. The check-in area will be on the north end of Bayfront Park. Please use the clear bag provided at packet pickup. Place your bib number sticker on the bag which was provided with your registration packet. Make sure your belongings are well-marked with your contact information. We are NOT responsible for damaged or lost items. NO BACKPACKS PERMITTED. The cutoff times are based on chip time, not gun time, in consideration of the additional time, it takes the start corrals to clear. What to know about your BIB! The ChronoTrack B-Tag® affixed to the back of your bib is your running timing device for this event. This is a single-use bib tag. If you participate in the Fitbit Tropical 5K DO NOT use the same ChronoTrack B-Tag® issued to you for the 5K. It will not work for the marathon or half marathon. How was Miami Marathon & Half Marathon produced by Life Time?